Eyebrow gel is amazing, and at OPM, we absolutely cannot go a day without it. Well, maybe that’s an exaggeration, but if you want to know why eyebrow gel is so fabulous, then you’re in the right place! Read on to find out why you should be using eyebrow gel to give that “oomph” to your look, plus some of its benefits which we absolutely love. As microblading artists, we constantly get asked, “If I microblade my brows, do I still need eyebrow makeup?” The answer is: it depends. If you want your brows to be extra on fleek, then you can still lightly fill your brows in with brow powder. But, for us, we’d prefer eyebrow gel because it keeps your brow hairs in place. 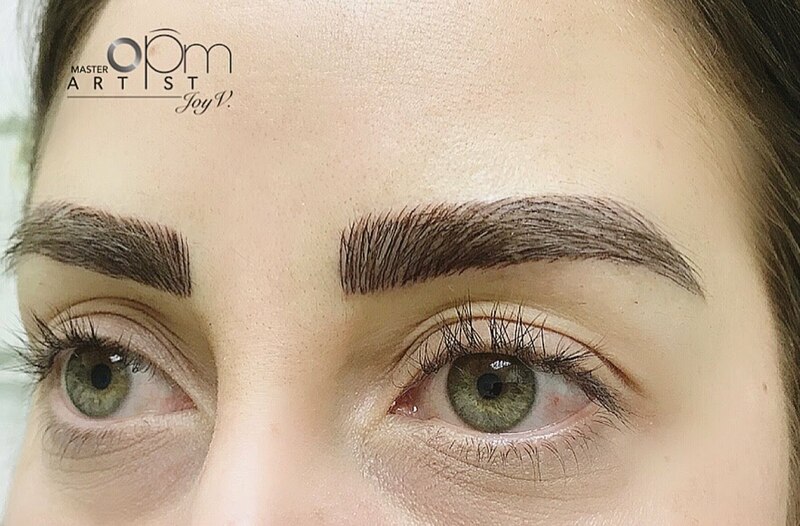 With microblading, you really don’t need to touch up that much, but again, it really depends on the look you’re going for! Using eyebrow gel automatically makes your brows appear thicker and fuller. This is because the gel makes your brow hairs stick together, giving them the appearance of being thicker. The gel will fade throughout the day, but that’s where the benefit of having microbladed brows comes in. Your brows will still look defined and perfect even with faded eyebrow gel. We all want to look good every time we leave the house. But, sometimes we just don’t have that much time to get ready. Well, eyebrow gel may be the treasure you’ve been looking for. Swiping brow gel across your brows can make them look instantly more “put together” — you can fool people into thinking you spent hours doing your brows, when really all it took was a couple of seconds! One benefit of using eyebrow gel is that it makes your brows look more natural and three-dimensional. But, you need to be using brow gel that’s slightly a different color than your brows. Don’t settle for flat brows that look too cartoon-like. Brow gel can fix that problem! Probably one of the most common reasons why people use brow gel is that it keeps your brows in place all day. Do you have brow hairs that are just so unruly, they can never cooperate? Are these hairs ruining your look? You need to keep those brows in place! The right eyebrow gel can keep your brows where they’re supposed to be. Brow gel is pretty affordable, ranging from $10 to $30, depending on what kind they are: drugstore or luxury. If you’ve microbladed your brows before, you’re going to look fine, but do note that your brow hairs will naturally grow through the years, so you’ll want to keep them in place. You won’t need to fill your brows in anymore, unless you want to look WAY too defined, so just maintain your brow shape by combing through your brow hairs each morning, and then adding brow gel to keep those hairs in place. It’s an easy and quick way to maintain your perfectly shaped brows. Haven’t microbladed your brows yet? Here’s why we think you should!